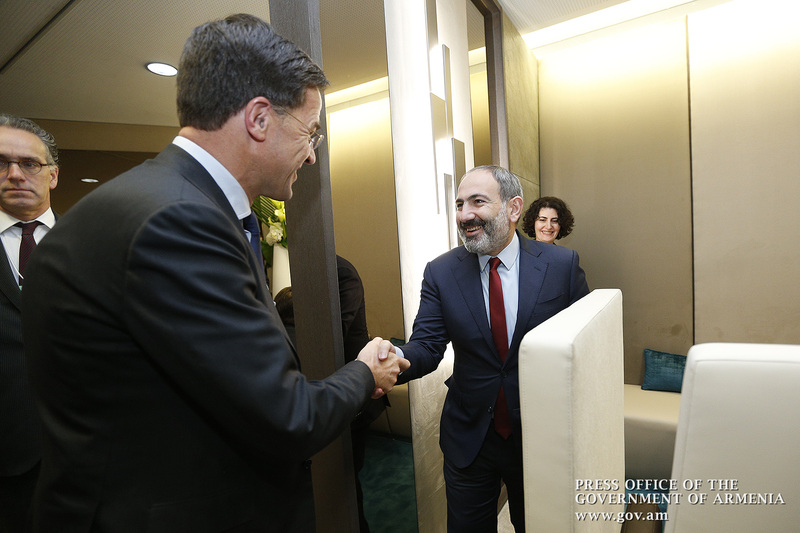 Prime Minister Nikol Pashinyan met with Prime Minister of the Netherlands Mark Rutte in Davos. During the meeting, the interlocutors noted the importance of developing and expanding economic ties between the two countries, as well as taking appropriate measures to bolster business ties. They expressed confidence that there is great potential for economic cooperation that should be tapped in order to increase trade turnover between Armenia and the Netherlands. 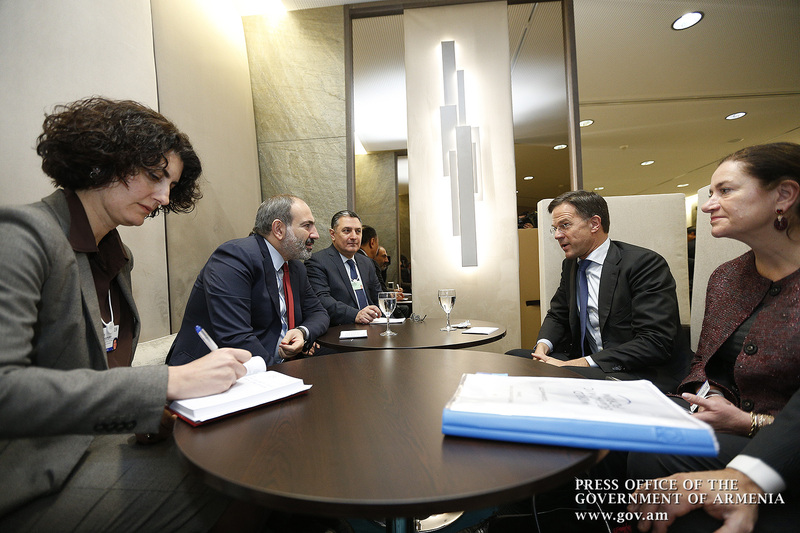 The Prime Ministers of Armenia and the Netherlands exchanged views on the implementation of joint programs in the fields of agriculture, tourism and infrastructures. The parties also touched upon cooperation at the multilateral level, in particular, in the framework of the EU-Armenia Comprehensive and Enhanced Partnership Agreement (CEPA). 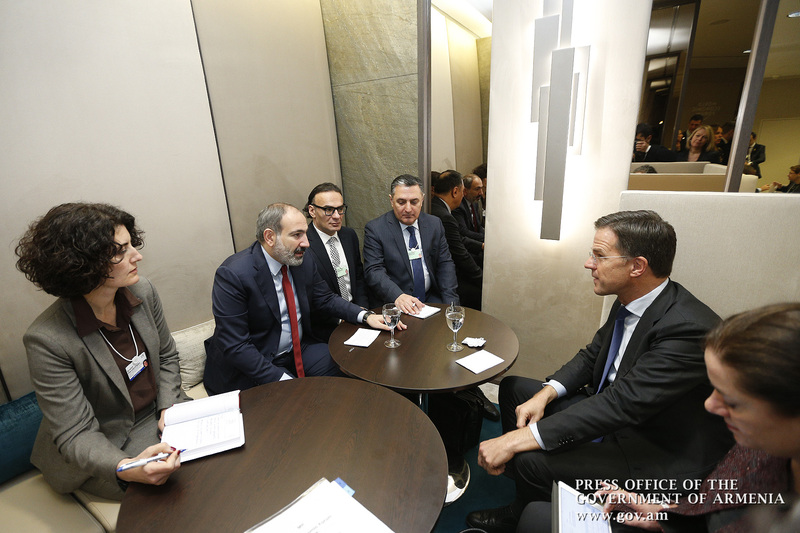 Nikol Pashinyan and Mark Rutte expressed confidence that the effective implementation of the Agreement will promote the reforms in the economy, the judiciary and other sectors, as well as will help expand interaction between Armenia and the European Union.